Brand NEW energy-efficient home ready November 2018! Host the next gathering in the Brooklyn with it's open floor plan making entertaining while still cooking easy! The first floor flex space makes a great office or guest room. Take the fun upstairs in the loft area and have family movie and game night. 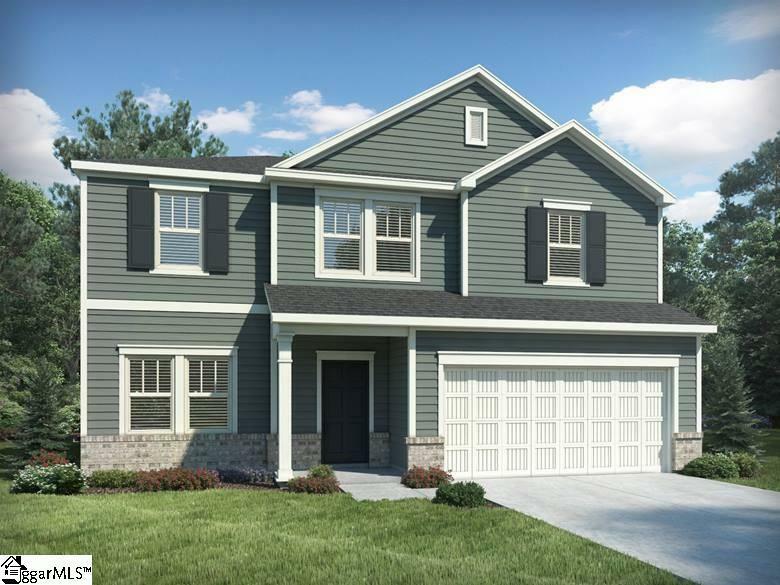 Hawthorne Ridge is conveniently located on East Georgia Road just off Woodruff Road and offers some of our newest floor plans, thoughtfully created with the best of living in mind. Known for our energy-efficient features, our homes help you live a healthier and quieter lifestyle while saving you thousands of dollars on utility bills. Like: Spray foam insulation in the attic for energy saving and better health Low E windows for 15% less heating/cooling costs ENERGY STAR appliances for lower energy costs CFL/LED lighting for about 75% less energy costs Freshair management system for clean, fresh air circulation 14 SEER HVAC helps save energy and money Conditioned attic helps seal out particulates, rodents and noise PEX plumbing is more resistant to freeze breakage Minimum Merv 8 filtration helps minimize indoor particulates CFL/Led energy efficient light bulbs. Listing provided courtesy of Christopher Piazza of Mth Sc Realty, Llc. © 2019 Greater Greenville Association of Realtors Multiple Listing Service. All rights reserved. IDX information is provided exclusively for consumers' personal, non-commercial use and may not be used for any purpose other than to identify prospective properties consumers may be interested in purchasing. Information is deemed reliable but is not guaranteed accurate by the MLS or J. Michael Manley Team. Data last updated 2019-04-18T20:01:04.82.